A well-mannered dog is a joy to be around. Have you ever noticed that well-trained dogs are usually well-adjusted, secure, and confident? Why is that? It is because people have taken the time to give them quality training. A dog’s training begins as soon as it is born. Their mothers teach them when it is time to eat, sleep, and play. When the puppy is old enough to leave its mother and become an addition to a human family, the humans become responsible for training the puppy. Like a human child depends on its parents for guidance, the puppy naturally looks to its new human family to teach it rules of behavior. Proper puppy training gives the puppy the foundation it needs for basic obedience and more as it matures. Training the puppy, or any new dog, is part of responsible dog ownership. What does good basic training involve? Expert knowledge on the part of the trainers along with consistency, repetition, lots of praise and positive reinforcement with less negative reinforcement, and appropriate collars and leashes. Once the dog understands the commands, the responsibility for maintaining the training passes to the owner. 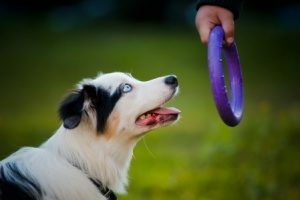 Training is important for reasons besides teaching your dog how to behave around humans. Training protects the dog from many life-threatening situations. For example, the dog should be able and willing to “drop” something on command. Dogs often pick up and eat all kinds of stuff while out on a walk. The “drop it” or “leave it” command could keep the dog from ingesting something lethal. Other important commands are “come”, “heel”, and “stay”. If your dog is obedient to these commands, the dog is less likely to chase another animal or run loose only to be picked up by animal control. One of the best ways to get your puppy or dog off to a good start with its training is to enroll in one of the top dog obedience classes in Northern Virginia. Obedience classes are available in private or in group settings. Group obedience classes offer the dogs a chance to play and socialize with other dogs under the supervision of a professional trainer and the dogs’ owners’. The owners learn how to work with their dogs, and everyone learns from each other. Here is a list of some of the top dog obedience classes in northern Virginia, in no particular order. With these dog training sessions, you will develop a lifelong bond with each other like you never imagined possible. Based in Northern Virginia, Off Leash K9 Training has been one of the top training programs for several years. It offers private lesson packages for you and your dog in your home or at a convenient location. The business is owned by world-renowned master dog trainer, Nick White. Off-Leash K9 Training is comprised of off leash dog trainers with experience and training ranging from the United States Marine Corps, Department of Defense, Secret Service, and private sector experience. Your dog can be trained from puppyhood all the way to the same level of obedience as most police or military working dogs. You will be obedient anywhere and everywhere without the restriction of a leash. Located in Arlington, Best Friends Dog Training offers a board and train package designed to get your dog off to a good start with the professional trainers. For the first two weeks of the program, your dog will stay at their professional facility in Arlington. The trainers will work with your dog each day, teaching it basic obedience. At the end of the two weeks, you will participate in the training with the professionals so that you can maintain and continue the dog’s improved behavior. After you complete these private sessions, you and your dog will participate in the group classes to further your success. Cooperative Paws is located in Vienna. It offers professional dog and puppy training for dog owners and service dog education, including a certificate program, for professional dog trainers. It has been among the best dog training programs listed in the Washingtonian magazine for many years and mentioned in various dog training books and magazines. Owner Veronica Sanchez and her husband, Ken Oberle, are both trainers who bring years of professional dog training experience to the program. They also offer continuing education for other professional trainers. They offer private training programs designed for your dog’s needs at their home office in Vienna. A Dog’s World is based in Fairfax, and offers a variety of training packages at convenient locations in northern Virginia. In addition to training services, they provide mid-day dog walking and dog sitting services when the owners are away. Their training programs use positive reinforcement methods to make training fun and informative for both the dogs and their owners. They offer a broad range of services including puppy training, basic and advanced obedience, private training sessions, board and training, puppy head-start programs, customized classes, in addition to Canine Good Citizen test preparation classes. Titan & Nikis Owner Training is a full-service professional dog training business based in Woodbridge. It is a locally owned and operated business specializing in high-quality and personalized training solutions for owners and their dogs. 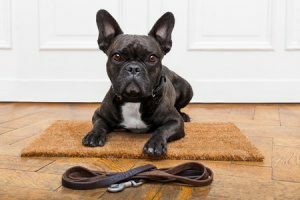 They offer training in basic obedience, housebreaking, leash manners, behavior modification, socialization, separation anxiety, protection training, and detection training. They are known for their attention to detail, competitive pricing, and exceptional training services. Your dog needs to maintain its training, even when you’re away or at work. Why not keep your dog’s training fresh with a Paw Pals professional? Paw Pals pet sitters are all highly trained and are PetTech certified in Pet CPR and First Aid—meaning you can rest easy knowing your best friend is in good hands. 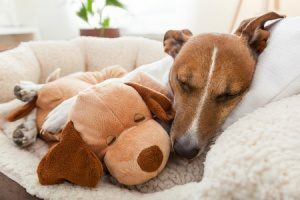 Paw Pals provides a wide variety of dog sitting services both in-home and out-of-home, as well as services for cats and other small pets around Northern Virginia.